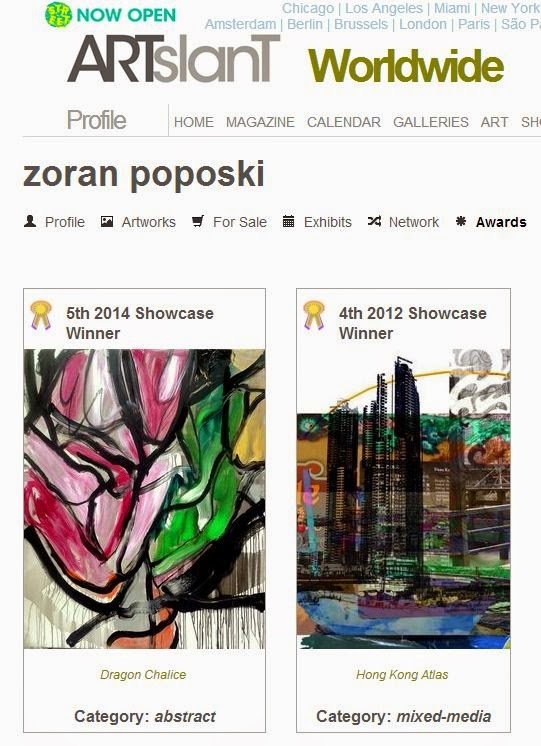 Zoran Poposki's painting "Dragon Chalice" (2014) has been selected as a Winner in the 5th 2014 Artslant Showcase competition, in the Abstract category. The ArtSlant Showcase is an international prize awarded by ArtSlant, the #1 Contemporary Art Network worldwide, designed to exhibit and promote talented artists from around the world. This is the second time Poposki has received this prize: in 2012, another artwork by Poposki was the Winner in the Mixed-media category.